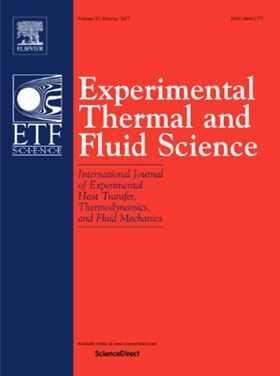 Elsevier journal Experimental Thermal and Fluid Science. This paper aims, through experiments, at determining gas-liquid flow patterns inside a centrifugal pump impeller, as well as to correlate the topological distribution of the phases of pump performance. For this, an experimental facility was built that would allow flow visualization inside the impeller. The construction of the visualization prototype was based on the stage of an Electrical Submersible Pump (ESP) widely used in petroleum industry. High-speed imaging was used as a technique to visualize the flow. The images obtained allowed us to classify the gas-liquid flow into four patterns, which are: Bubble Flow, Agglomerated Bubble Flow, Gas Pocket Flow and Segregated Flow. It was observed that the intensity of pump performance degradation is directly influenced by the flow pattern within the impeller. The occurrence of the Gas Pocket Flow pattern is linked to the intensification of the deterioration of pump performance and the appearance of operating instabilities. When it comes to the Segregated Flow, data has shown that the severity of performance degradation may make the pump incapable of generating pressure. Maps correlating flow pattern and pump performance were set for different operating conditions. These maps showed that the higher the rotational speed, the greater the no-slip gas void fraction where the transition occurred between the phases inside the impeller.